Have you ever found a human being without a dream or a vision for his life? No, right? Everyone wishes for something in their life. Some want better relations or a better life. Some wish to become a king of the world or a girl wishes to become a queen of someone’s heart. What if you can literally portray your dream on a wall? Wouldn’t it be amazing? That is possible with Wall Decals. 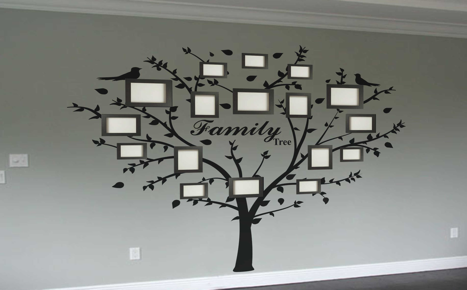 If you are a family man use a Family tree sticker on the wall and make your wall a big family tree. If you wish to be the king of the world, custom make your decal with your name and a crown on your head. If you are a princess of your home or a queen to your lover and you live a pink fairytale life with a touch of narcissism, then just put up your pic and a queen’s crown on your head or a butterfly wings around your name. All this is possible with a wall paper and your vision. This was just a glimpse of the creativity you can do in Wall Decals. 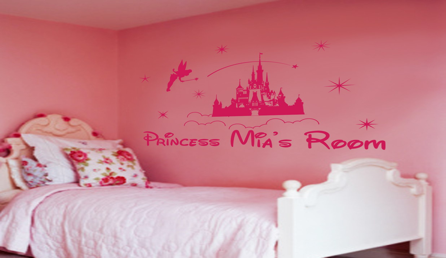 Just think of your dream and make a custom made wall sticker to make it a reality. Share your passion with the world. Apart from this, there are many other reasons you should use Wall Decals instead of some wall color or designs or textures. The best thing about wall stickers is that you can custom make it the way you want to and the look and feel of the sticker are the same as that of the design you see in the soft copy. Considering the weather conditions of UK it is durable enough to stay as it is for at least five years when we talk about outdoor areas and for indoor areas it almost lasts forever. It is also washable and can be installed in hours where as it takes weeks sometimes to perfectly color a wall. It is easy to fix and no mess is created in the house. You don’t need to clean your house thoroughly after getting a wall decal as your interior decoration which also is a common problem when we talk about color and other texture designs on the wall. The best part is it costs almost 20% of that of a full fledge wall renovation. And if you don’t like it you can easily remove it without any troubles or much regrets. So it is like an evolution in the Interior Decoration and as many cafes and bars are using the Wall Decals, it is equally affordable and attractive inside your house.